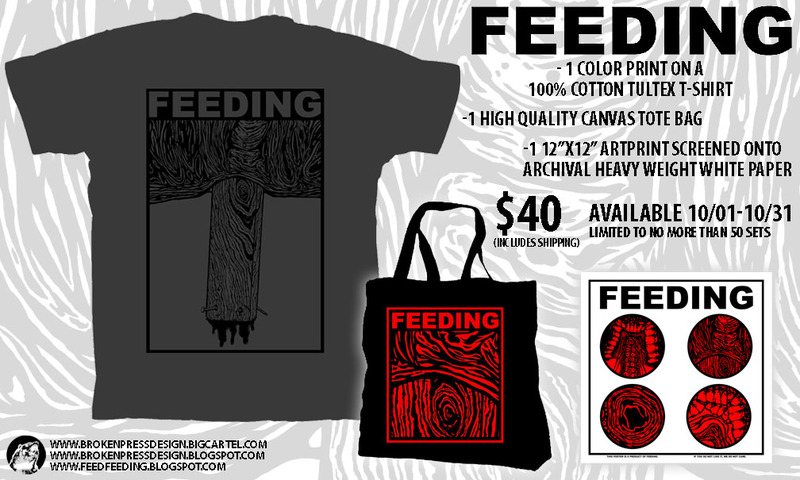 AVAILABLE THROUGH THE BROKEN PRESS WEBSTORE FOR A LIMITED TIME. DO YOU WANT TO STAND OUT FROM THE CROWD? SEPARATE YOURSELF FROM THE HERD? 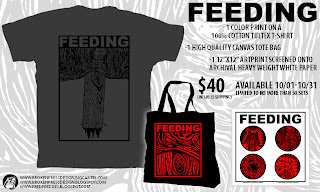 JUST IMAGINE THE FEELING OF SUCCESS WHEN YOU WEAR YOUR FEEDING SHIRT TO THE GROCERY STORE WHILE USING YOUR TOTE FOR YOUR FRESH ORGANIC PRODUCE. GO HOME, STARE INTO THE POSTER AS IF IT WERE A MIRROR. BE A WINNER. YOU DESERVE IT. VOTE FEEDING.